It is clear to us that President Trump will get no help to secure the southern border from Capitol Hill’s Republican “leadership” and if the Wall is to be built it will only be accomplished through executive action. Much ink and hot air have been expended by pundits and Members of Congress debating whether the President has the authority to declare an emergency and use the military to build the Wall and other needed border security enhancements, or to fund wall construction by formally “reprogramming” funds already appropriated to the executive for other purposes. Much of the debate has focused on the Constitution’s Article I, Section 9, Clause 7 language that states, “No Money shall be drawn from the Treasury, but in Consequence of Appropriations made by Law…” with those opposing executive action to build the Wall arguing that after a lengthy voyage through the courts, the Supreme Court would likely find that the President lacked the constitutional authority to build the Wall without a congressional appropriation for that purpose. As Professor Stith notes in her article, Congress has long codified this object requirement, requiring that “[a]ppropriations shall be applied only to the objects for which the appropriations were made except as otherwise provided by law.” The latter phrase refers primarily to a variety of statutes that give executive agencies limited authority to “reprogram” line items within an appropriation under certain conditions. This practice does not contravene the Appropriations Clause, because reprogramming authority effectively expands the objects for which the appropriations are made. Clearly, the President has the constitutional duty and authority to act as Commander-in-Chief, to protect the sovereignty of the United States, the lives and property of its citizens and to ensure that the immigration laws of the United States are carried out faithfully. Ergo reprogramming funds already appropriated for those general purposes would likely, after a lengthy voyage through the courts, pass constitutional muster. But what if there was a way to avoid many, if not most of the constitutional and quasi-legal political pitfalls of reprogramming funds under a general declaration of a border emergency? 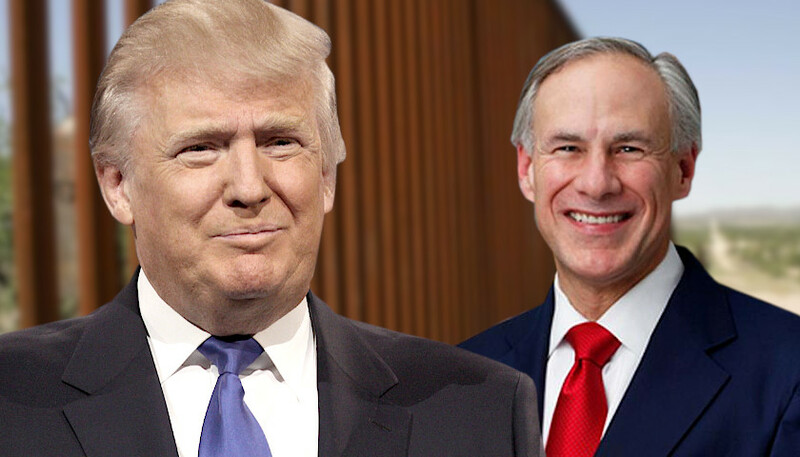 We believe that President Trump and Texas Governor Gregg Abbott working in concert might be able to thread that constitutional needle. According to the Texas Department of Public Safety, based on Department of Homeland Security status indicators, over 279,000 criminal aliens have been booked into local Texas jails between June 1, 2011, and January 31, 2019, of which over 189,000 were classified as illegal aliens by DHS. Between June 1, 2011 and January 31, 2019, these 189,000 illegal aliens were charged with more than 295,000 criminal offenses which included arrests for 539 homicide charges; 32,785 assault charges; 5,737 burglary charges; 37,234 drug charges; 403 kidnapping charges; 15,991 theft charges; 23,701 obstructing police charges; 1,660 robbery charges; 3,473 sexual assault charges; 2,170 sexual offense charges; and 2,976 weapon charges. DPS criminal history records reflect those criminal charges have thus far resulted in over 120,000 convictions including 238 homicide convictions; 13,662 assault convictions; 3,158 burglary convictions; 17,930 drug convictions; 175 kidnapping convictions; 7,100 theft convictions; 11,336 obstructing police convictions; 1,013 robbery convictions; 1,710 sexual assault convictions; 1,153 sexual offense convictions; and 1,282 weapon convictions. Moreover, more than 369,000 illegal aliens were arrested along the Texas – Mexico border in 2018, if over 1/3 of a million illegal entries into our country isn’t an invasion what is? We think if Governor Abbott were to formally ask the President to assist in repelling this invasion President Trump would be bound by Article IV, Section 4 to take such steps as are necessary to do so with or without congressional action. Moreover, by limiting such action to Texas, Far Left Governors in California and New Mexico would have no standing to challenge the action in court. We urge CHQ readers and friends to contact Texas Governor Gregg Abbott through this link. Urge Governor Abbott to make a formal request of President Trump for assistance in repelling the invasion of the Republic of Texas pursuant to Article IV, Section 4 of the Constitution of the United States. George Rasley is an editor at ConservativeHQ. Photo “Donald Trump” by Gage Skidmore. CC BY-SA 2.0. Photo “Greg Abbott” by Greg Abbott.